This has been out for a little while now, and the shock has largely worn off, so let's take an in-depth look at the first non-imperial Fortification released by GW! Tau are lucky to have the first non-Imperium fortification, but if we think about it, it makes quite a bit of sense. 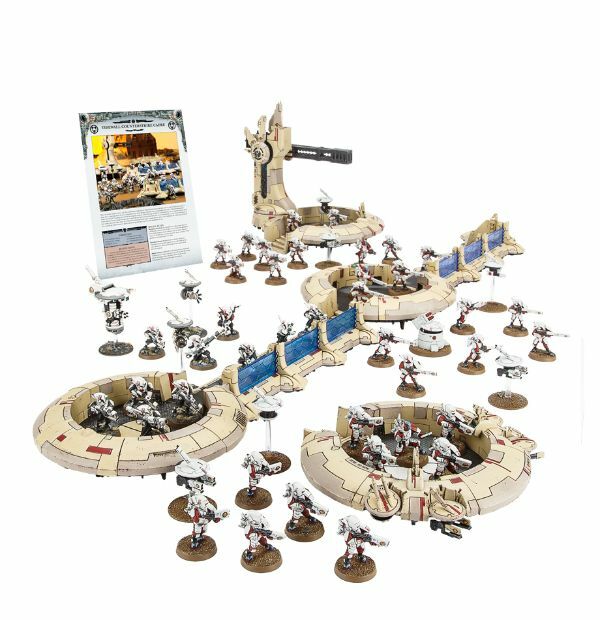 First, Tau are probably one of the biggest sellers outside of Marines. Second, the other contenders are even less likely to have fortifications. Necrons would be the next likely (imo), but I doubt they would bother since they are all ever-living anyways. Chaos might, but you would just use corrupted Imperial fortifications and I can't think of Chaos actually bothering to defend anything. Anyways, currently there are a few ways to field the Tidewall, either in sets or individual pieces. Each takes up a Fortification slot, so it actually doesn't work in a Hunter Contingent. The rules for these various methods are spread around too, in typical GW fashion. Most of the rules are found in Warzone Damocles: Kauyon, however the Tidewall Rampart rules are only found in the Tidewall Rampart box. Then the Tidewall Counterstrike Cadre rules are only found by people who bought that specific bundle from GW's website. Moves 6" over open ground, treating those on top of it as stationary for shooting purposes. Successful cover saves made my models behind the wall have a 1/6 chance of reflecting back at the shooter. They cause an automatic wound/hull point at the same AP as the shooter's weapon. This is pretty cool, because you have a much shorter, mobile, Aegis. It also gives units on top of it greater freedom of choice. For example, they could go to ground in order to increase the chance of reflecting enemy shooting and still move 6" the next turn! A Cadre Fireblade's unit can get that extra pulse shot, and Broadsides can move around while firing to full effect. Strike/Breacher teams can use their special shooting drone too. The re-roll 1's is a handy benefit, especially for Strike teams pumping out lots of shooting. Of all the fortifications, this is the only one that you might see a non-Tau faction using. Its greatest strengths are not Tau -specific like the other fortification options. An odd mixture of battlefield debris and Tau vehicle. At 60 points, there is no reason for any faction but a Tau one to take this, because only a Tau model can activate the drones. A shieldline would serve other factions best. Once activated though, you have 4 drones of your choice to do with as you please. If you think of that in terms of a minimum drone squadron, you are actually only paying 4 points for the mobile defense platform! Best of all, like all of the Tidewall components, it grants re-roll 1's to Tau shooters. This is a nifty addition for moving around a small squad. The platform cannot be destroyed and neither can its drones (until you disembark them), so it is a cheap addition for some added protection. Not only do the models get a mobile defense line, the drones act as a screen against assault elements and if ignored can become a real problem for your opponent. If you were planning on taking a minimum squad of marker drones in a CAD to attach your Drone Controlling Commander to, then you might as well take this fortification. It is basically free if you discount the drone point costs. Another fortification 'exclusive' to Tau. While anyone could take it, nobody would be able to use it as anything other than a mobile defense platform. It gets a Twinlinked Railgun, usable only by Tau faction models and Tau models still get to re-roll 1's when shooting. 85 points is far from cheap for a fortification, but it is the cheapest way to get a Railgun onto the board (Hammerhead is 125). It is accurate and can be fired by an individual. This means certain models make the best users. Simply 3 Gunrigs taken as one fortification. It is 255 points with no upgrades. Aside from the fact that Gunrigs are actually quite awesome, the Gunfort gives you a small bonus. All three Gunrigs can be fired by a single model, at a single target. When shot this way, all three railguns get +1 Strength if firing submunitions (essentiall a S7 AP4 large blast) or Armourbane if using Solid Shot. While it isn't a D weapon, it is quite literally the next best thing: A S10 AP1 long range weapon that rolls 2D6 for armour penetration. If a high BS model shoots, you are pretty much guaranteed 3 penetrating hits on your target, one of which is likely to result in an Explodes! on the damage chart. These are the rules that came with the rampart box. As far as I know, the only way to get them is by buying the box set instead of the individual components. 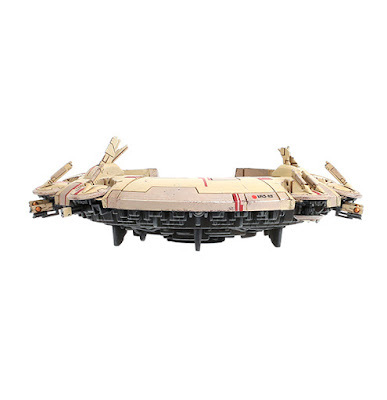 It is composed of 2 Shieldlines, 1 Gunrig, and 1 Droneport (the models in the box). It has all the regular special rules, but has the added bonus that even models on the Gunrig or the Droneport will reflect successful cover saves back on their attackers on a 6! Plus, a model on a Droneport can designate an enemy unit in line of sight. When the Gunrig(s) shoots at that enemy unit, it gains +1 BS and Tankhunter/Monsterhunter for the phase. At 265 points base, it isn't bad, especially considering how the Tidewall field extends to all the components. You can even add as many shieldlines as you want, and up to 1 extra Gunrig and/or Droneport. If you add another Droneport, you can designate 2 units for destruction for the Gunrigs! This is a 'fortress' network. It requires 4 shieldlines in a square around either a Gunrig or a Droneport. 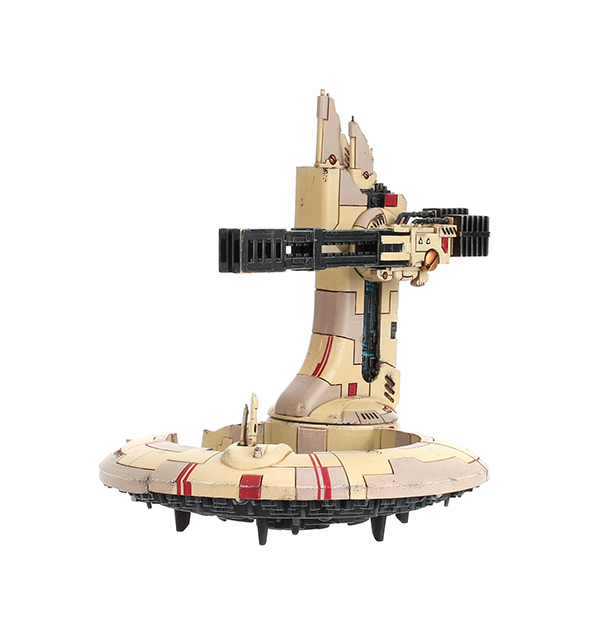 It has all the basic advantages, but it also gives Tau models Stubborn when they are on one of the Shieldlines. In addition, a model on one of the Shieldlines can operate the Gunrig/Droneport without actually having to be on it. It is a nice boost if you were already planning on castling up. The whole network costs either 300 or 325, depending on whether you take a Gunrig or the Droneport. Stubborn is handy, but it might not be as useful as the bonuses granted by the Tidewall Rampart. This is a web exclusive from GW, much like the Skyhammer Annhiliation force for Space Marines. Essentially, if you buy all this stuff as a bundle directly from GW, you'll get this formation's rules. The rules are out there for anyone to have, so let's see how they affect the Tidewall. That is quite the expensive formation. With minimum squads, this formation costs nearly 530 points. And the minimum infantry squads are only 180 of that. The Strike team becomes much more accurate, but can't man the Shieldlines. Note that this also works in close combat and Overwatch, so the Strike Team should become a quite stubborn defender. With two Gunrigs and a Droneport, you'll need to chain them together in order for the Strike team to use them all. Or take other units, but they don't get the cool twin-linked bonus. The Breacher pulse blaster range is basically doubled, which is quite potent. When coupled with the Shieldline's movement, they can be hitting stuff with S6 AP3 weapons up to 16" away, 19" if they happen to be in the direction of the pathfinders. Note that this rule is written differently, so it extends to All Breachers on the shieldlines, but since there are already two squads required and only two shieldlines to put them on, you won't have much room for a third squad. The pathfinders gain no additional benefits, but they are necessary to get this fortification moving faster. I can't see them moving the Tidewall forward very well, since they'll likely be dead from anything you wanted to move towards. However, you could put the pathfinders behind the Tidewall and move a full 9" backwards, which could be handy against foot-slogging assault elements. Otherwise, the extra 3" movement isn't that great, even if you get to go in the direction you want. Thankfully, the Pathfinders only have to be a 44 point investment and those markerlights Do help, especially when these units can join in on the Hunter Contingent fun. All in all, these fortifications are great. They are cool looking and bring a fun fluffy aspect to the Tau. Mobile fortifications are absolutely something they would think up. They also all have a nice boost for Tau units, just as all the Imperium fortifications give the Imperial factions some buffs. Fair play! It is a bit of a shame that you can't field the Tidewall with any of the formations in the Codex, but perhaps that is for the best. It is also a major shame that this only moves over open ground. I can see the thinking behind that rule, but it severely limits the larger Tidewall networks that have to remain in the exact same configuration when they move. I doubt I'll be buying any of these anytime soon. I don't have the money, and if I did I would probably spend it on other things. My battlesuit forces don't use these fortifications very well, but I can definitely see the potential of a Skyfire Railgun or the cool factor of a Droneport carrying around a Forgeworld Drone Sentry Turret. Thanks for reading, I know it was a lot to get through! I just got the droneport on its own for Christmas, an while it served my fireblade and strike team well, and orbital bombardment put an end to its reign. the droneport is the perfect size for large blast templates, especially when you're cramming a 12-man FW squad with fireblade. 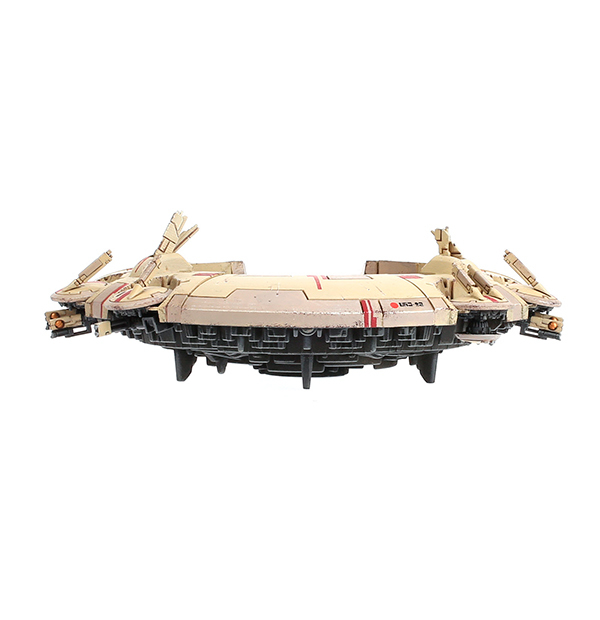 Although not tried yet, i'm considering putting a pathfinder team on this thing as markerlights are heavy weapons, so they can move and fire MLs at full BS. Thank you for writing up an in depth review with rules of this fortification. I bought this and I don't have a Tau army. My plans are to use it as scenery when Astra or SM fights against Chaos on a place where Tau once existed.